When Abbie Corder made a huge decision with her education prior to her sophomore year, basketball was a constant for her through the changes. “I went to school at Vilonia through my ninth-grade year. Once I began homeschooling, I was going into my 10th grade year and decided to play for the Falcons,” Corder said. The Faulkner County Falcons is a local homeschool basketball team that plays other homeschool teams across the state and operates under the National Christian Homeschool Basketball Championships (NCHBC). 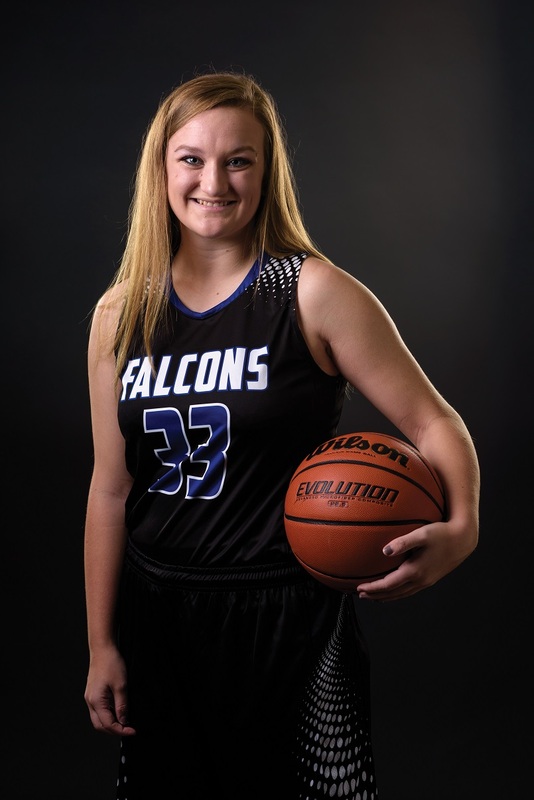 Corder, a senior forward/post for the Falcons, was selected to this year’s 501 Basketball Team — 34 players representing the best the 501 has to offer both on and off the court. The team is sponsored by Conway Ortho and Sports Medicine Center, Conway Regional Health System and First Security Bank. Corder was nominated by her head coach (and father), Michael Corder. “Abbie is one of the brightest basketball players I’ve been around,” Michael wrote in his nomination. “She is one of those kids that sees everything on the court. She is a very unselfish player and does a good job getting everyone involved in the game. Abbie has been a vital part of the program over the last two years and has led the team in just about every category. Last season, Abbie led the Falcons averaging 16 points and eight rebounds per game, shooting more than 50 percent from the floor. She was named to the Arkansas State All-Tournament Team and NCHBC All-Tournament Team as both a junior and sophomore. In her sophomore season, she was also named to the South Central Sophomore Girls All-Region Honorable Mention Team and awarded the South Central Sophomore Girls All-Region Newcomer of the Year. The Falcons open their season Thursday night on the road at Community Christian in Russellville. Abbie is a multi-sport athlete for the Falcons. She finished her senior volleyball season this fall and was named to the All-Region team. Her talent extends beyond the court as she’s also a talented musician; she plays guitar and sings in the oneChurch youth group in Conway.